Ah, Pokemon spinoff games. I recently picked up Pokemon Conquest a week ago, intrigued by the various positive reviews on it I read online. This game is a simplified mix between Fire Emblem, Dungeon Dice Monsters and Civilization. The result is a terribly addictive and unusual Pokemon experience. It took the basic idea of a role-playing strategy game and turned it into something exciting and new. Or, at least new to the Pokemon franchise. You play as an ambitious warlord, commanding your army of Pokemon into battles for territory. This is combined with the traditional “Gotta Catch ‘Em All” mantra which all Pokemon fans still hold dear to their hearts. Although Pokemon Conquest can be pleasantly addictive, most players will move through the game at a steady pace without much difficulty. There is some planning and thought involved in securing a victory, but no truly challenging opponents. 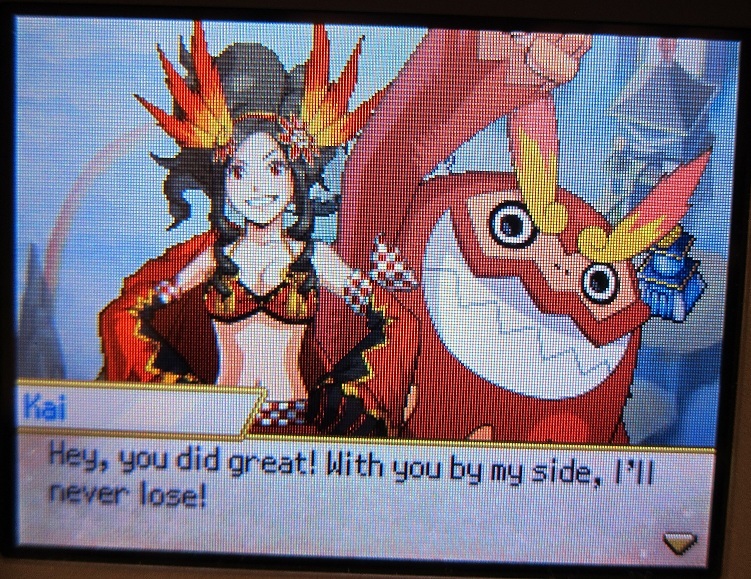 Even though the computer controlled opponents aren’t nearly as incompetent as those found in Dungeon Dice Monsters, Pokemon Conquest can be played through with ease without really having to think much about strategy. The gimmicks on each battlefield are a welcome addition, but many can be largely ignored with little consequence. Two of the few notable exceptions to this are the Pokemari and Nobunaga battlefields. All of the battlefields in the game maintain the same layout except for different item drops. A lot of the game is focused on moving your Pokemon through an area until you are within striking range to launch an attack. Other than knowing your Pokemon type advantages/weaknesses and attack ranges, there is no further depth to the gameplay. I don’t know if it’s just me, but I also found the item system clumsy and unhelpful. Most of the time I never even bothered to use items, other than evolutionary stones. And there’s an alchemy place in the game I have no idea how to utilize yet. But as you might expect, there isn’t much depth to any of the characters past the fact that they all enjoy conquering other kingdoms for varied reasons. The main problem I have with the human characters is down to the vast number of generic warriors available in the game. Their art is limited to a selection of the same faces, while their names are all so amazingly similar that I have trouble telling one from another. Maybe I’m being unfair about the name similarities. 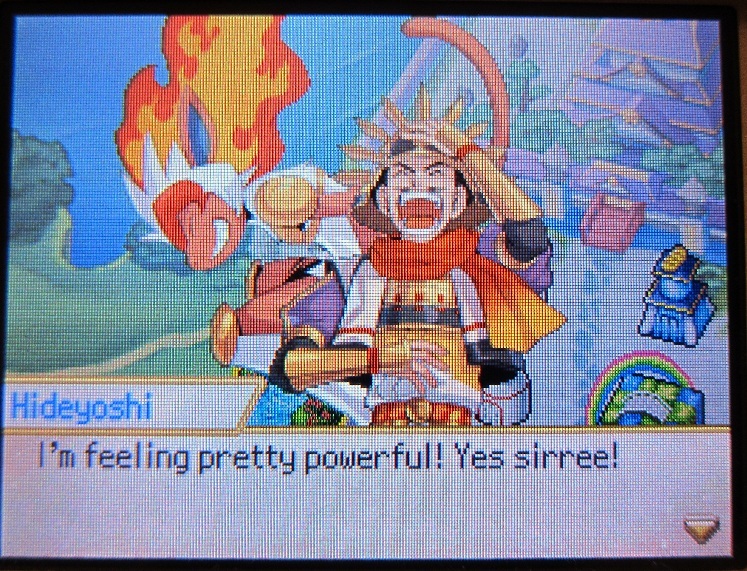 Pokemon Conquest is set in feudal Japan after all, and a lot of the characters are named after actual historical figures. Regardless, I would have liked to see a much greater range of distinctive character designs to link all my favourite Pokemon to. Another major issue here is that there are just 200 obtainable Pokemon in Conquest out of a massive pool of 648. Your favourite Pokemon might not even be in the game, and this alone could be the sole reason to deter you from playing it. A possibly evil man by the name of Nobunaga is running about conquering all of the seventeen kingdoms in Ransei. 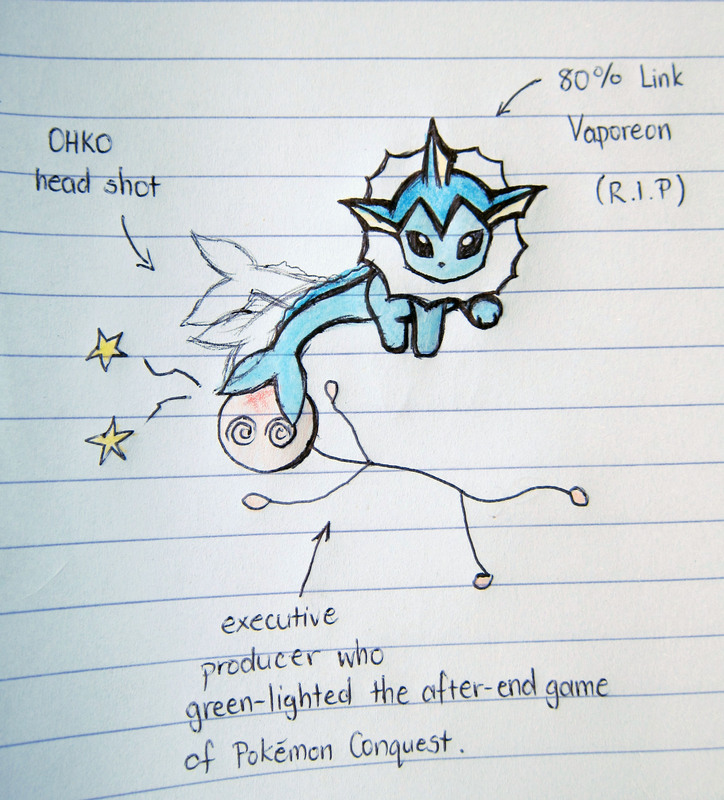 Apparently, his motive is to bring peace to the land by causing the return of the almighty Arceus. He then wishes to destroy Arceus. Um... So people will stop fighting over gaining control of Arceus? Because Arceus will be dead? I think if you just invited Nobunaga over for tea, this whole conflict could be straightened out and everyone would get their 100% link Pokemon a whole lot faster. Maybe you could even kill two Spearows with one stone and get Nobunaga the professional aid he so desperately needs along the way. In a different time and place, another person like Nobunaga could be executed for blasphemy or something. 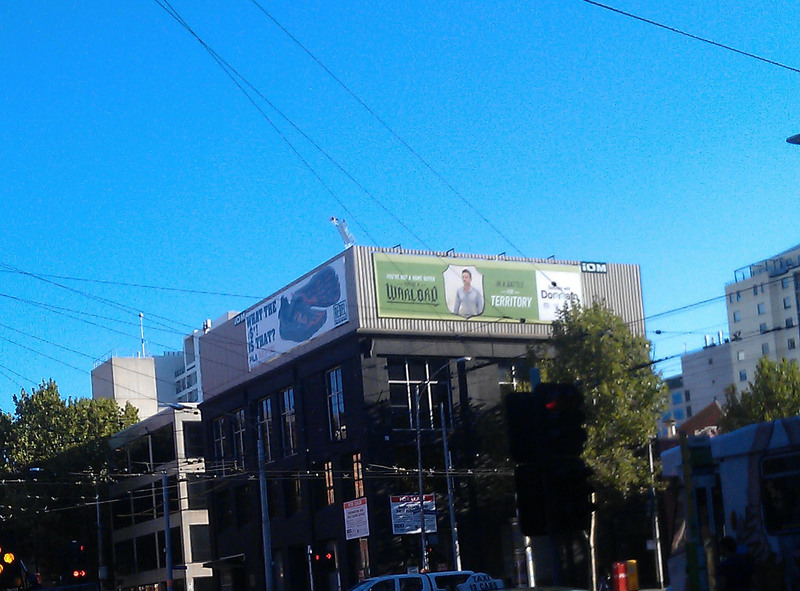 But here, I bet it's the moustache that's making him murderously evil. Yeah. The story isn’t very good. It doesn’t matter, all you need to do is pummel all the kingdoms into submission before Nobunaga gets a chance to do it. Simple. First you get the kingdoms, then you get the power, then you get the Pokemon. The post-story mode is mostly about conquering all the kingdoms over and over again. This could have been used to develop the characters further instead, but often it’s just the same event being regurgitated back at you with a slightly different objective and dialogue each time. To put it plainly, it’s kinda lazy. It appears that they must have been out of ideas on how to stretch out the replay time. Do they not have faith in their game? Is that why they feel the need to hold the main character ransom until tortured players suffer through 30 separate 'character stories'? I wish they would have made the post-game character episodes a separate option in the menu, instead of forcing players to grind pointlessly through the same thing a gazillion times. It’s not that the character episodes are particularly bad, it just feels like players are being blackmailed into repetitively plowing through it all if they ever hope to see their main character again. 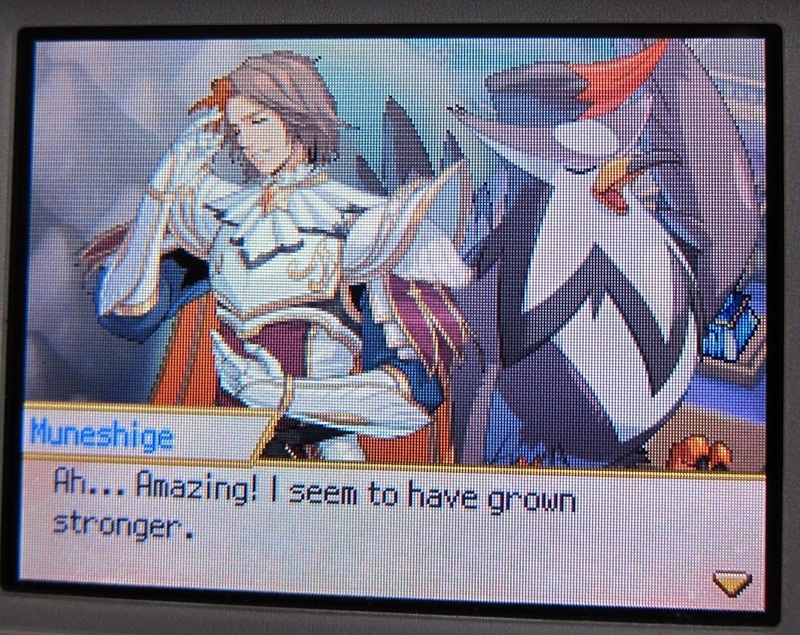 The background and character art in Pokemon Conquest is well done. Unlocking a nice new portrait is almost enough reward to justify the repetition in the gameplay. Having said that, let us pray for more art stills to be included in the next Pokemon spinoff game. The Pokemon themselves are also drawn in a particular style. There is nothing wrong with this, but those who are used to ‘official’ Pokemon art will be able to spot the difference. On one hand, the new art provides a good breath of fresh air. While on the other hand, it feels a bit different from the original Pokemon and more like fan art. I do like all the new Pokemon sprites in this game. If only they weren’t so blurry. 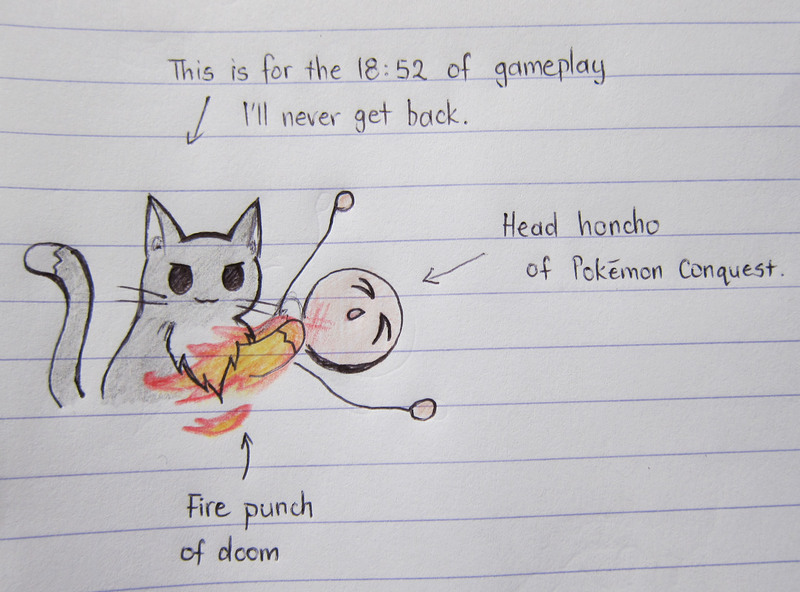 You’ll really notice this flaw in the middle of battle, when Pokemon begin performing their attacks. Why someone would go to all the effort of creating new sprites only to bar everyone from seeing them properly is beyond me. The music in Pokemon Conquest is completely adequate. It’s precisely what you would expect for a game set in the Japanese feudal era. You can’t really complain that the background music isn’t very memorable or catchy since it’s too busy being appropriate for the given setting. Eevee as the main character’s starter. I love Eevee. Everybody loves Eevee. This universally popular Pokemon should be a starter option in all Pokemon games. This notion is even officially supported by Gary Oak himself. Eevee is such a versatile creature to the point where you can evolve it into whichever one of seven different Pokemon you choose. It’s cute, too! There are also some clever elements in this game. 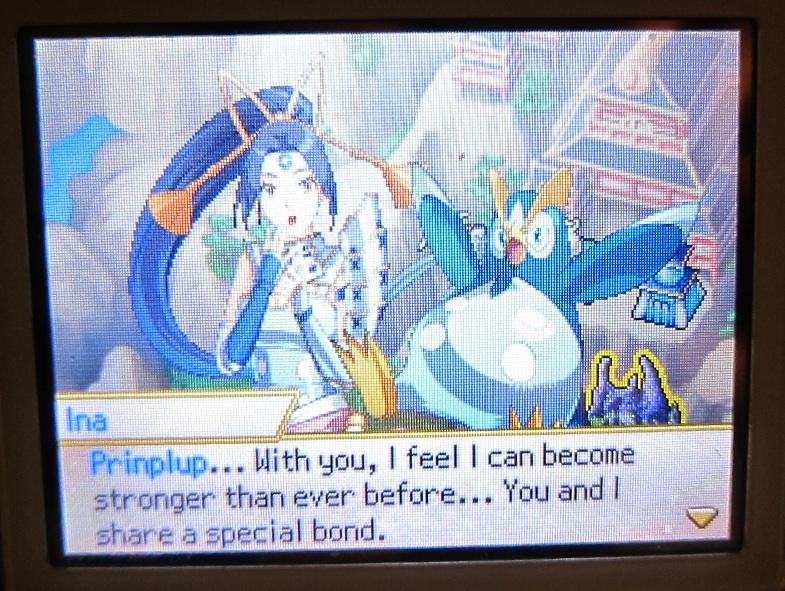 The fact that humans and Pokemon both grow and evolve together is something which has always been missing in this franchise. On top of that, different warlords can only reach 100% link with one special Pokemon. This is an idea which has never been explored before, one that can be frustrating but ultimately realistic at the same time. It brings a new layer of complexity to training Pokemon. Suddenly, you have to consider the compatibility between different Pokemon and humans before pairing them together. As previously mentioned, Pokemon Conquest is horribly addictive for anyone who enjoys this game genre. You are almost sure to pick it up again well after you've finished it. I was very, very angry about this. 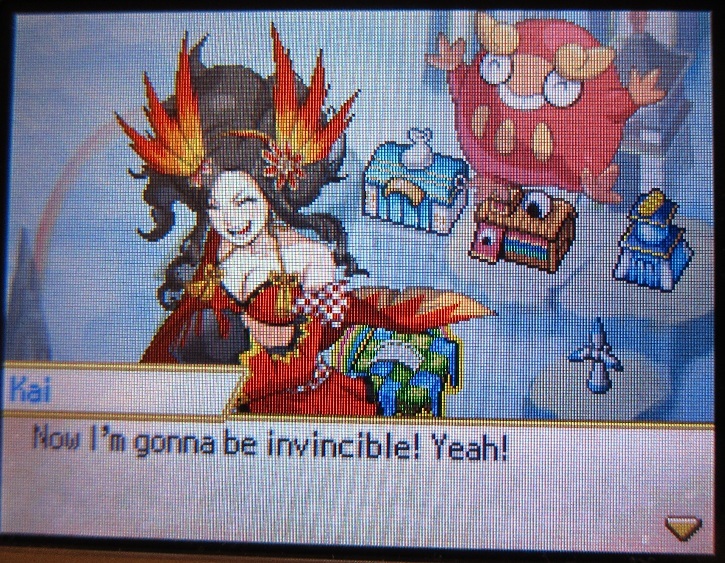 When I trampled Nobunaga using Arceus (I’d rather have used my Vaporeon) I was expecting to immediately recruit more warlords and Pokemon to strengthen my armies. Instead, I was not only forced to return all of the kingdoms I had conquered back to their unworthy leaders, but I lost my entire empire of beloved 70-80% link Pokemon. 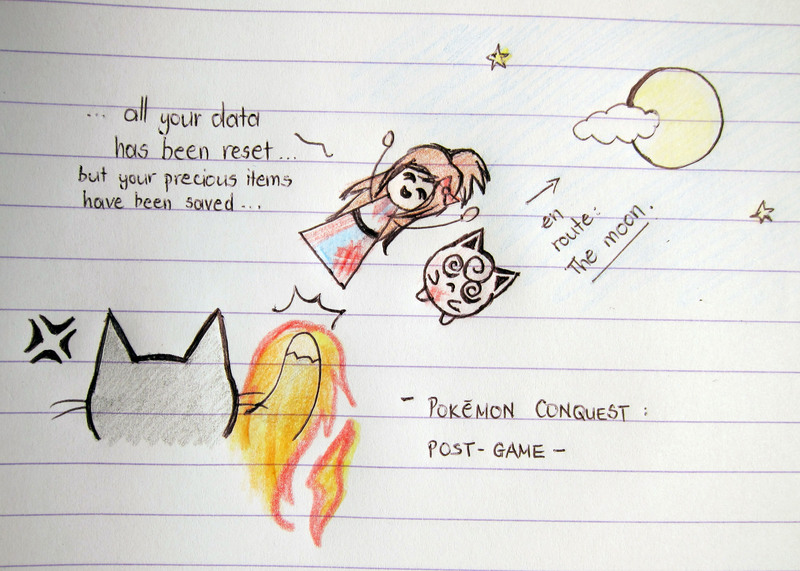 Oichi kindly informed me after the ending credits that the Link experience I gained with my Pokemon had been reset. But not to worry, all my precious items had been saved. Upon seeing this, I felt an overwhelming urge to uppercut her to the moon in a fit of explosive rage. Following a day of calming breathing exercises, I realised that the game seemed to have saved all of the Pokemon I caught, but reset all of the Link experience. 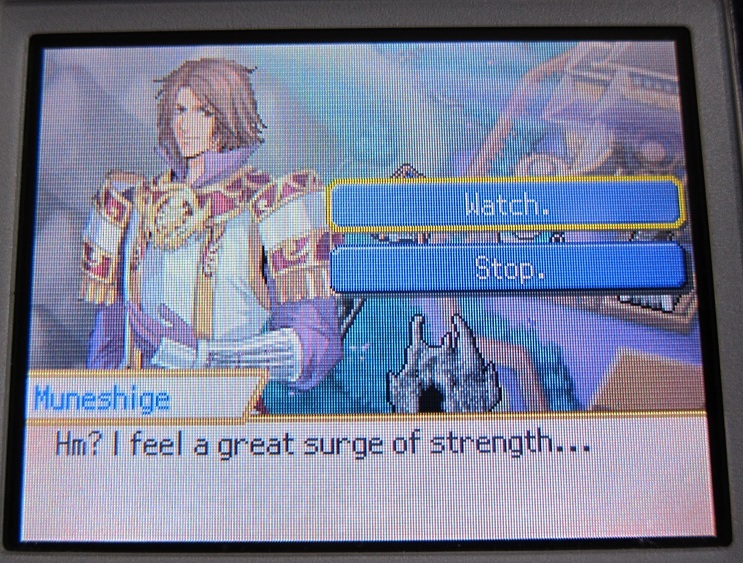 My advice to you is to save your game right before you engage Nobunaga at the tower. Back up the save if at all possible. Drag out your timeline before the last battle so you can evolve as many of your empire’s Pokemon as you can before your Link experience is erased. Otherwise, you’ll be sorry. Essentially, you’ve just wasted 19 hours of your life training up your empire, only to lose all progress after the final boss fight. Trust me when I say that I would have been even more livid about this if I had paid $55 for this game in store. My conclusion to this unprofessional rant is that the post-end section of Pokemon Conquest could have been done a lot better. Pokemon Conquest is a good game, which I would personally score as a 7.5 out of 10. It could have been a great game, if they had only addressed some key issues and threw a smidge more effort into making it. I am enjoying Conquest more than the previous Pokemon Ranger titles only due to the type of game it happens to be. Save yourself the agony of combing the map for 100% link partners with some handy compatibility spreadsheets! There's a simpler one which shows you all perfect links, or you can download this awesome complete guide to warrior compatibility.